If you’re looking for quality, customized foot orthotics, you’ve come to the right place. 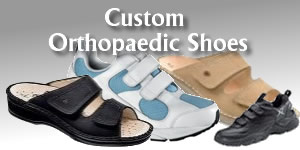 Custom orthotics work wonders relieving pain in the foot, knee, hip or low back. PGA Chiropractic in Palm Beach Gardens has utilized Footmaxx orthotics since 2003. Since then, hundreds of satisfied patients have been fitted with the most technologically advanced orthotics available. Advanced manufacturing materials allow Footmaxx orthotics to be extremely thin, yet very durable, ensuring a comfortable fit in most shoes. They fit easily and discreetly into your existing footwear. 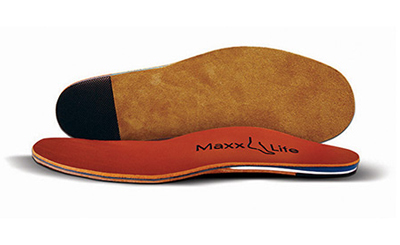 Wear your most stylish shoes, and still get the proper support and correction from your Footmaxx Orthotics. The computerized Footmaxx Metascan System is a proprietary system that analyzes in pronounced detail the mechanics of your foot movements with each step. In turn, this allows us to produce orthotics that provide exceptional functional support for your feet. The result is improved lower limb bio-mechanics and pain relief. In fact, our Footmaxx orthotics work so well at relieving foot, knee, hip and low back pain that they are the only orthotic lab that offers a 100% guarantee. We’ve been amazed at the quality and we think that you will be, too! Footmaxx is the largest supplier of custom orthotics in the world…most professional athletes use Footmaxx Orthotics to improve their game and prevent injuries. For more information, call our office today and see if Footmaxx orthotics are right for you. You can visit Footmaxx.com for more information, as well. You may be a candidate for custom orthotics! Some examples of Orthopaedic shoes and sandals. 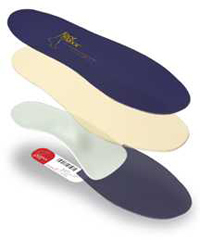 Many types of orthotics available to fit your needs. Superior materials used for superior comfort.